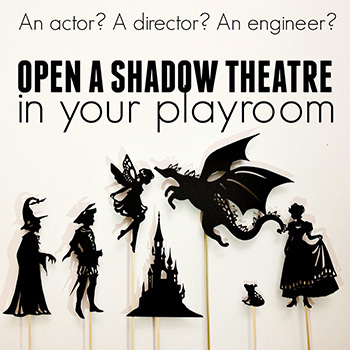 Begin a new family tradition, with a mysterious shadow play retelling the ancient story of Christmas. 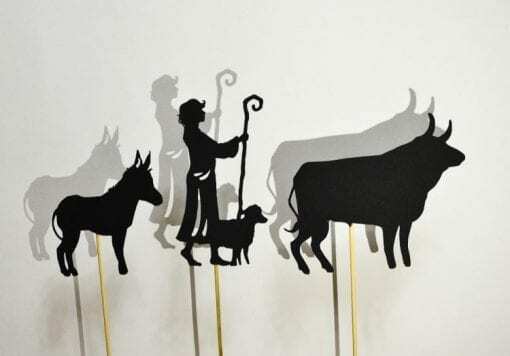 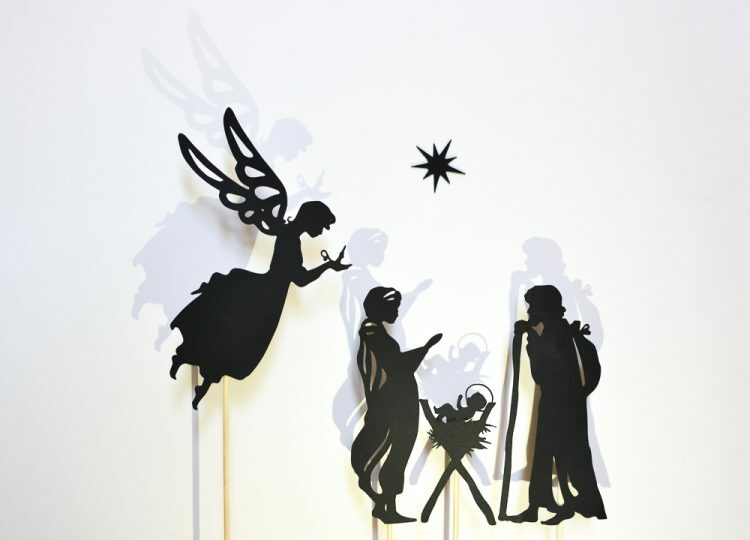 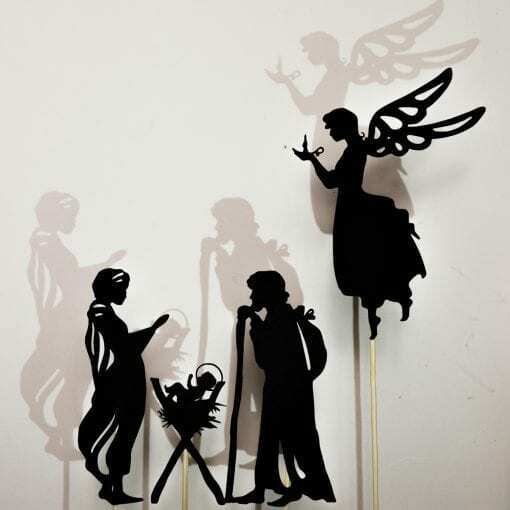 The Nativity shadow puppet set includes silhouettes of Mary, Joseph, baby Jesus, a manger, an angel, a shepherd, three wise men, a donkey, an ox, a barn, and a star. 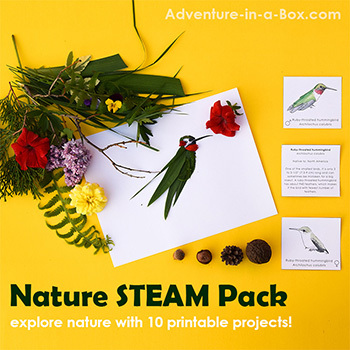 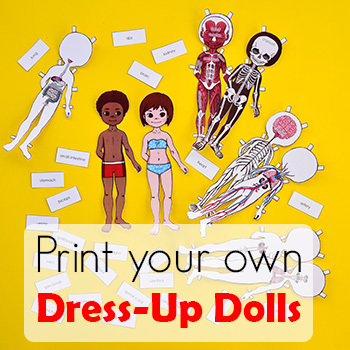 This is a digital listing for printable designs. 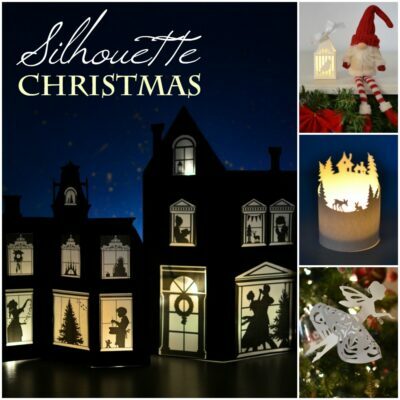 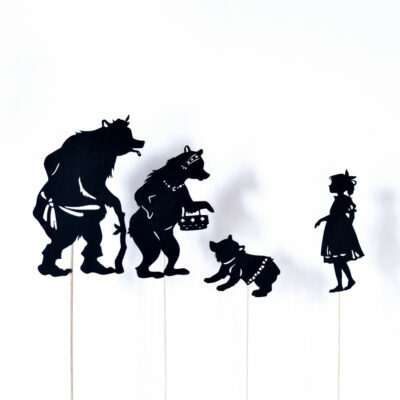 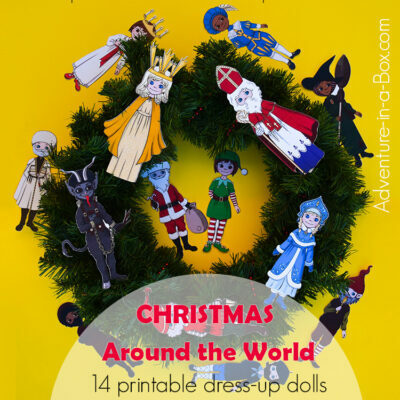 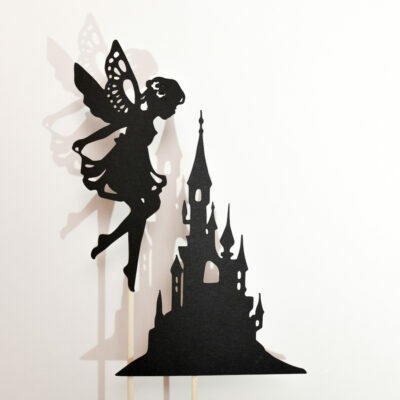 You can also buy this puppet set as a part of our Christmas Silhouette bundle along with other sixty printable designs! 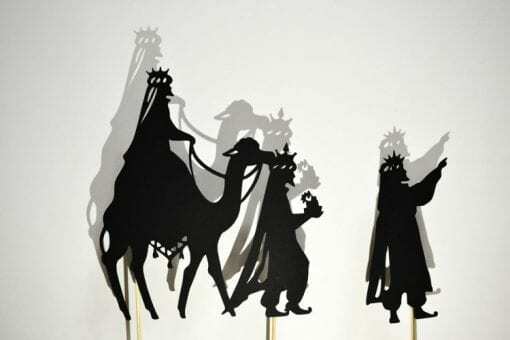 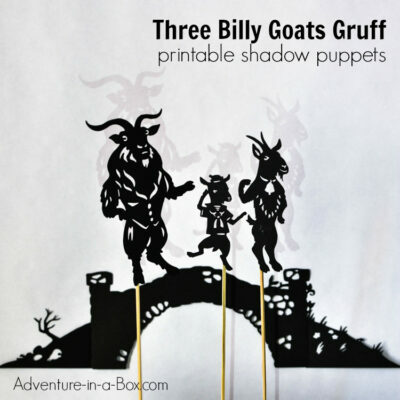 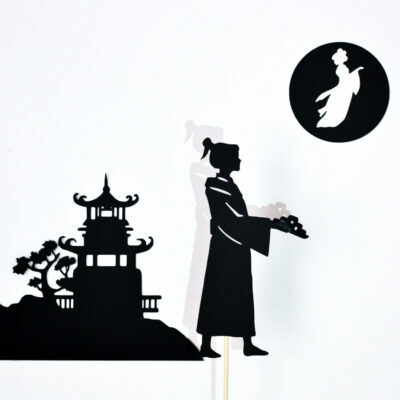 This set includes ten characters and two scenery objects to stage the Nativity Scene with shadow puppets. You will get four JPEG files with designs of twelve puppets (Mary, Joseph, baby Jesus, a manger, an angel, a shepherd, three wise men (in two puppets), a donkey, an ox, a barn, and a star). 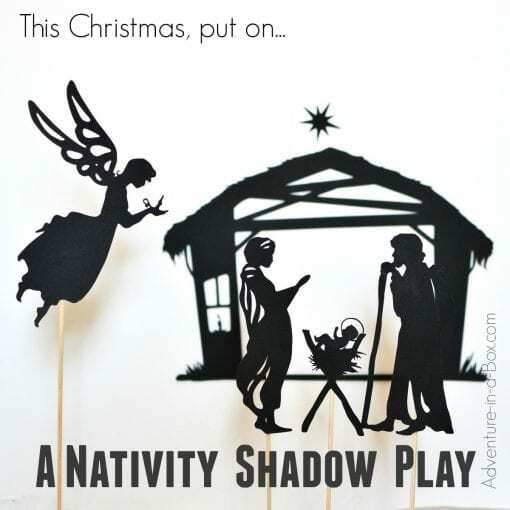 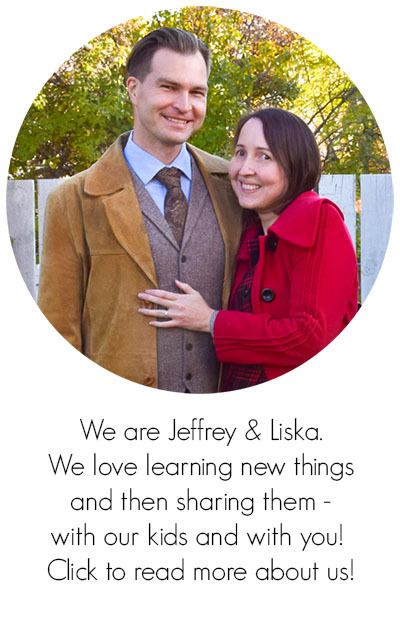 Print them, then cut out of stiff black cardboard and attach sticks to their backs. 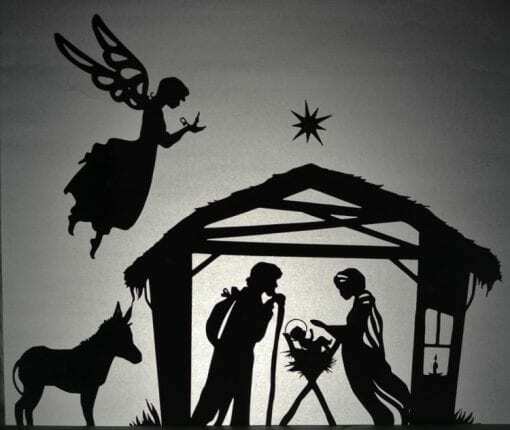 Read the post about our performance!